Have too much stuff to store (or know someone who does)? You can't expand your home, but if your stuff is digital, you can buy a bigger hard drive. One of these hard drives can help you expand your storage. Among this year's Black Friday bargains, we've found 1TB external models for $80, and a wave of 500GB portable drives for between $60 and $80. Western Digital's My Passport Essential is physically small, but packs 500GB of storage space; Staples will have it as an in-store special for just $70. (Western Digital's Website sells the drive for $140, while Newegg.com sells it for $100, no post-Thanksgiving sales promos involved.) Best Buy will have the My Passport Elite 500GB for $80 in-store with limited quantities. Meanwhile, Target is rumored to have a 500GB Western Digital drive as an early-bird special--but that's a different model (from the Elements line), and it will cost just $60. Also in the portables realm is Seagate's FreeAgent Go 500GB, rumored to be $80 at Costco (in-store only, with coupon) and just $60 at OfficeMax (no coupon). Office Depot has a range of FreeAgent Go models, with the 640GB model priced at $120 and the 750GB at $150 (both in-store-only deals). And if you live by a Micro Center, that chain's in-store specials include the 320GB Western Digital My Passport Essential for $60, plus Hitachi's Signature 500GB and 320GB drives for $70 and $50, respectively. 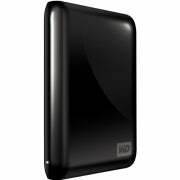 Online shoppers will appreciate MacMall's 320GB Western Digital My Passport Studio for Mac at $70. 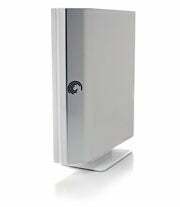 For desktop external drives, a capacity of 1TB to 2TB is de rigueur today. OfficeMax is rumored to have the Seagate FreeAgent 1TB for $80, while Staples will offer the Seagate FreeAgent 1TB as an early-bird in-store special for $70 (the 1.5TB will be $140). Office Depot will sell the Seagate FreeAgent 2TB for $180 and the 1.5TB version for $100 (1.5TB is in limited quantity; both deals are in-store only). Meanwhile, Micro Center, Target, and Best Buy are featuring Western Digital drives on sale. MicroCenter has the My Book 1TB for $80 (in-store only), while Target is rumored to have the Western Digital Elements 1TB desktop hard drive for $60 as an early-bird special. Best Buy should have the Western Digital 1.5TB My Book Home Edition for $120 (limited quantity, in-store only). Finally, Hitachi's 1TB SimpleDrive Turbo USB 2.0 is $80 at Micro Center, while Verbatim's 1TB external drive is $80 at Office Depot (in-store only).